Hello Tennessee TSA. 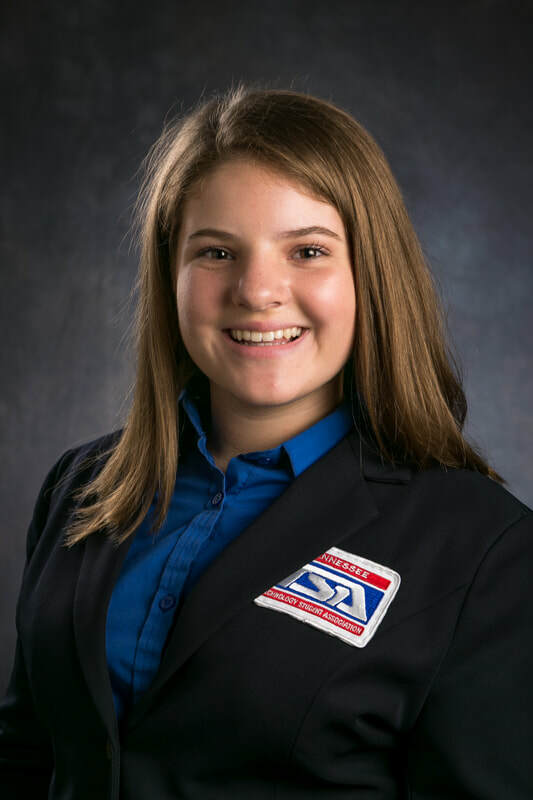 My name is Alexis Miniat, and I am honored to serve as your TN TSA State Vice President. I am a sophomore at Fairview High School in Williamson County, and I have been a part of this organization since 7th grade. TSA has provided me growth in leadership development and has assisted me in skills necessary for my future STEM career goals. This association has helped build a strong foundation for my aspirations of becoming an oncologist. In my middle school chapter I served as president in 8th grade and as a freshman served as vice president. Not only have I been provided many opportunities over the years to expand my knowledge and skills, TSA has created so many friendships and lasting memories for me. I am so excited for this year and the steps we will take!